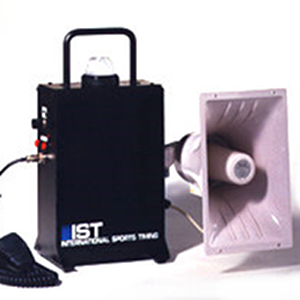 IST is a family-owned company that has been in business since 1992. We are swimmers, coaches, swim parents and swimming fans, as well as electrical and software engineers. Our aquatic sports products have been developed by engineers with input from coaches, swimmers and parents to provide the most intuitive, easy-to-use swim timing software out there. Our hardware products were designed using our industrial engineering experience to stand up to the harsh environment of swimming pools and minimize maintenance for the busy coach. They are so rugged that we can offer a 5-year warranty on all of our hardware! We make training volunteers easy, and running meets simple. Innovative, affordable aquatic sports products and unmatched customer service are just two of the many reasons coaches, parents, and administrators are turning to International Sports Timing for aquatics timing products. IST is committed to providing ground-breaking products that suit the ever changing needs of the aquatic community. All of IST's products are backed by the best warranty in the industry, ensuring reliable performance and long-term value. Our friendly, helpful customer support is second to none and is available 24/7/365. Completely customizable scoreboards for your pool and budget. Powerful, easy to learn and intuitive. Run a meet on any laptop. Control your digital pace clock from your phone with our SWIMCLOCK App.